Lexus is all set to officially enter the Indian car market on 24th March, 2017. 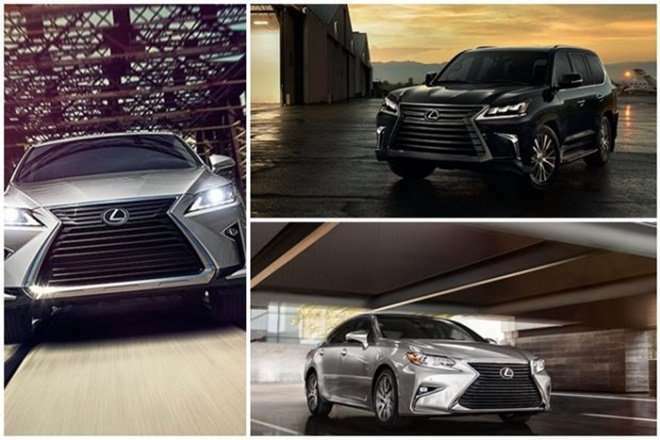 Bookings for Lexus cars that will be available in India had been opened in November 2016. Customers can expect delivery of cars in this month. All sales will initially be met through imports, and will be sold as CBUs (Completely-Built Units). The first dealership of Toyota’s luxury brand will open in Mumbai. It will be called ‘Lexus Boutique’ and will sell the RX450h, LX450h, ES300h and the LX450d or the LX570. The number of cars imported will be limited, however the brand eventually plans to start local assembly of its models. Lexus is likely to expand its network in other cities like New Delhi, Bangalore and Chennai. This will be Toyota’s second attempt to bring its luxury in India. Back in 2013, Lexus was poised to be launched in the country, however the plan was pulled back due to steep import duties. The Lexus RX450h is a hybrid SUV that will be powered by a 3.5-litre, V6 petrol engine coupled with a Toyota?s hybrid system, similar to the Prius. The engine will produce a combined power of around 308 hp and will be mated to an e-CVT gearbox. The Lexus RX450h, when launched in India, is expected to be priced around Rs 1.17 crore (ex-showroom). The Lexus ES300h will be a sedan based on the Toyota Camry. Similar to the Toyota Camry Hybrid, the Lexus ES300h Hybrid will be powered by a 2.5 litre petrol engine along with an electric motor, paired to a CVT gearbox. As it will share its underpinning with the Camry Hybrid, the company could start its local assembly sooner than the rest of its models and the ES300h is expected to be priced around Rs 75 lakh, ex-showroom. The Lexus LX450d or the LX570 SUV will share the same platform as the Toyota Land Cruiser. The Lexus LX range of SUVs in international markets is offered with a choice of two engine options, a 5.7 litre V8 engine that develops 383 hp of power and 546 Nm of torque and a 4.5-litre V8 twin-turbo diesel unit that generates 269 hp and 650 Nm. The same engine options are also expected to come in the India-spec models. The Lexus LX450d would also be available in five-seater and seven-seater configurations, depending on the variant. Both the Lexus LX450d and LX570 are expected to be priced at Rs 2 crore and Rs 2.15 crore (ex-showroom) respectively.